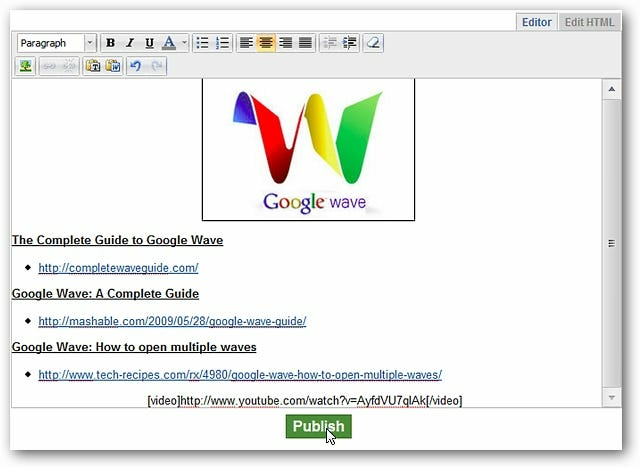 Do you want an easy way to share text, images, and embedded videos with other people using a simple link? 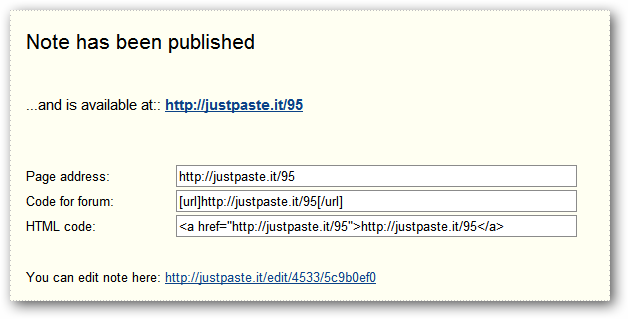 Then join us as we take a look at JustPaste.it. 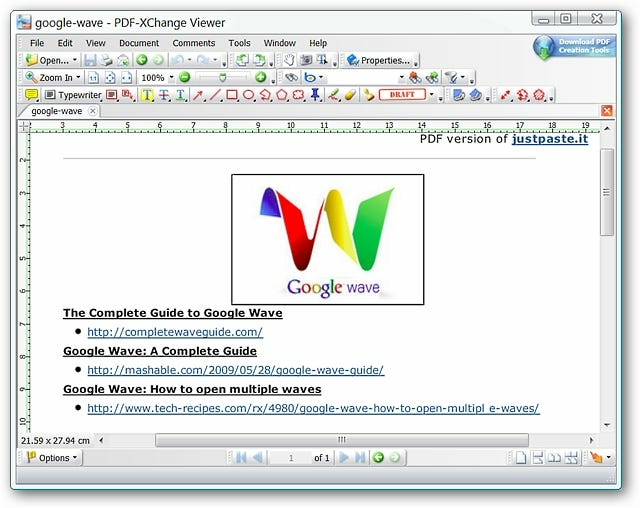 The “About Page” provides a very nice overview of what you can do with JustPaste.it for your text, images, embedding video files, and importing files. Your work is automatically backed up every 3 minutes and you may also download your documents as PDF files. 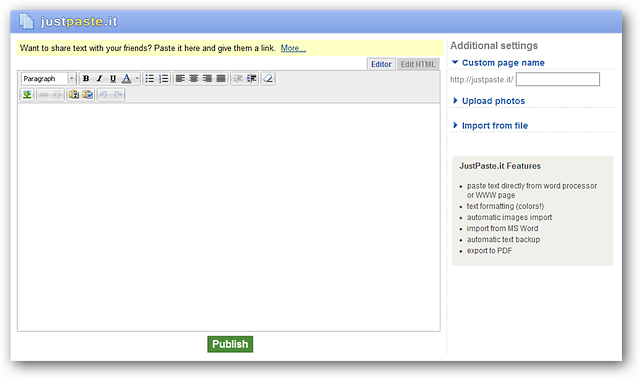 This is what the “Main Window” looks like for JustPaste.it. Notice that you can switch back and forth between the “Main Editor Window” and an “Edit HTML Window” using the tabs. And this is the “Sidebar” where you can create a custom page name, upload photos, and import files. 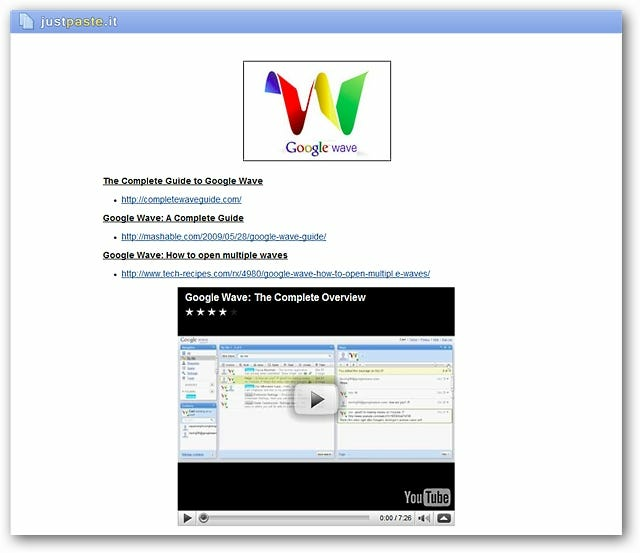 At this point you are ready to start adding text & images, embedding videos. 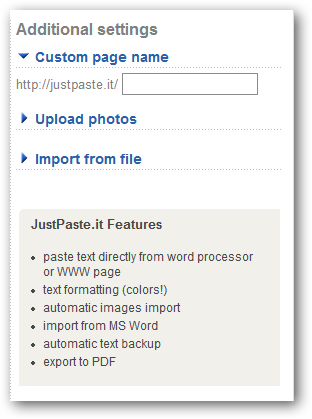 or importing documents into JustPaste.it as desired. A quick look at our document in the “Edit HTML Window”. Since we were finished with our new document all that we needed to do was click “Publish”. 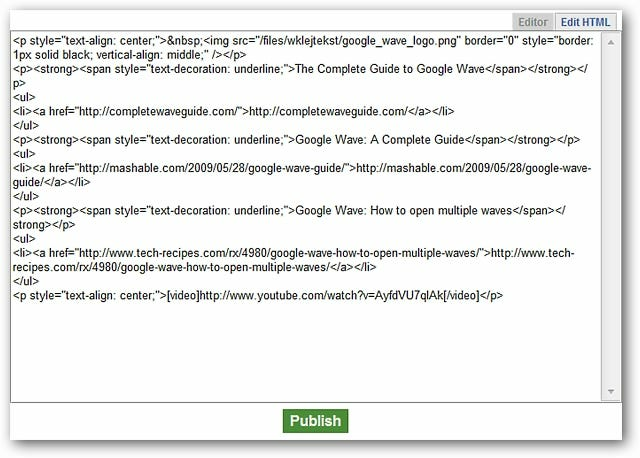 As soon as you click “Publish” you will be presented with a page like this one providing a variety of links in different formats. Notice that there is even an “Edit Note Link” provided. Clicking on the link for our document opened up the following webpage. We were very pleased with how nice everything looked. At the bottom of the webpage you will be able to find statistics (such as time since creation, visits, etc.) 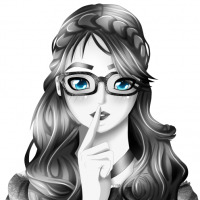 and links for your new document (save as PDF or submit to Digg). If you save the document as a PDF file expect to have a generic numeric/letter file name appear. Choose the desired name and save to your computer. 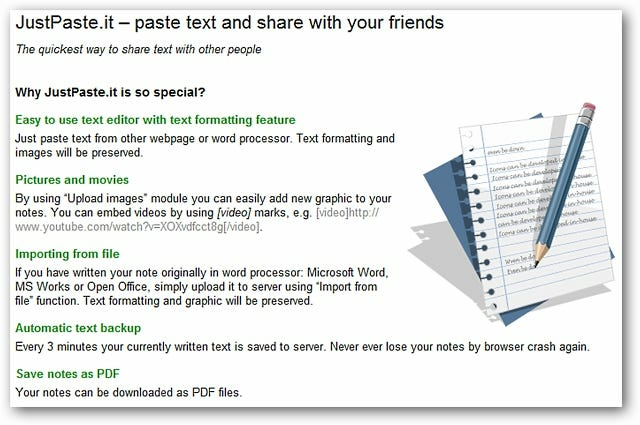 If you are looking for a very nice way to share text, images, and embedded videos with other people, then JustPaste.it is definitely a web-service you should take a good look at.